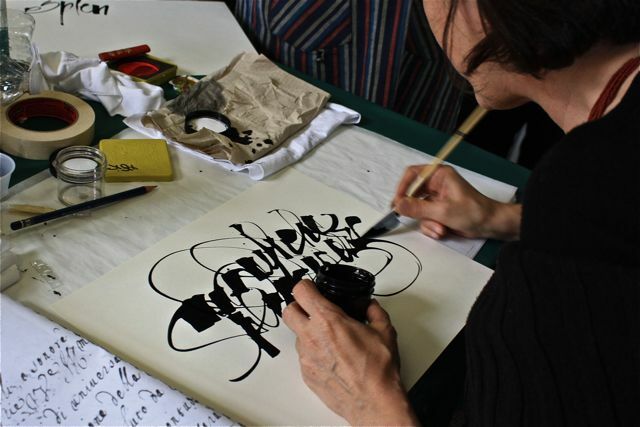 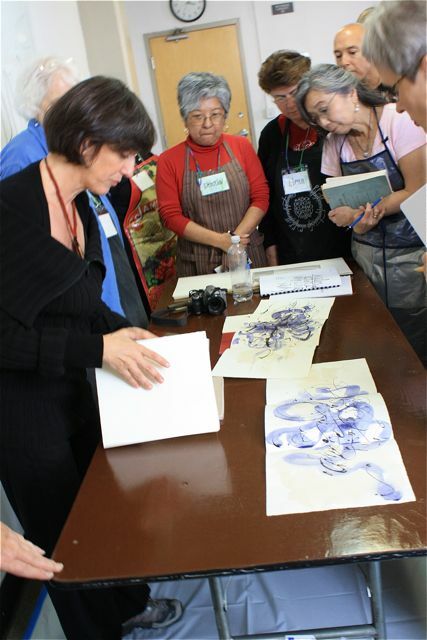 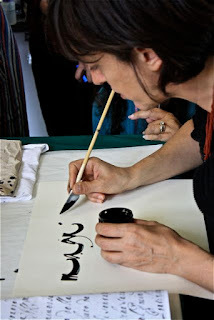 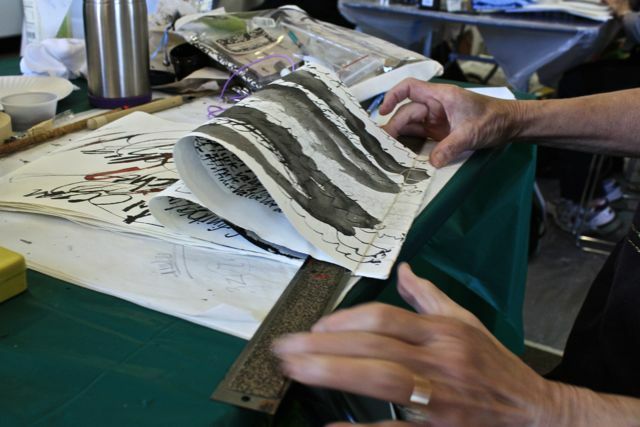 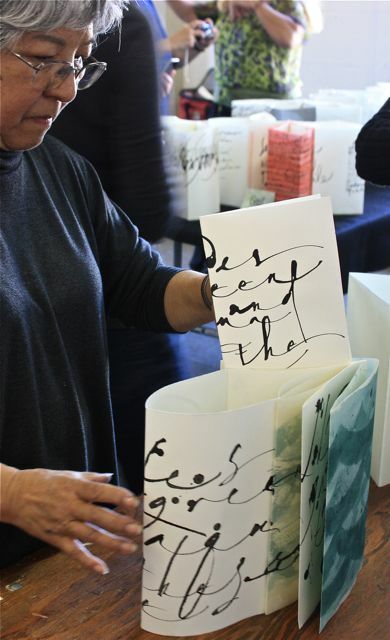 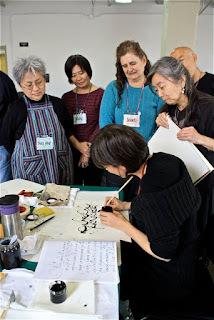 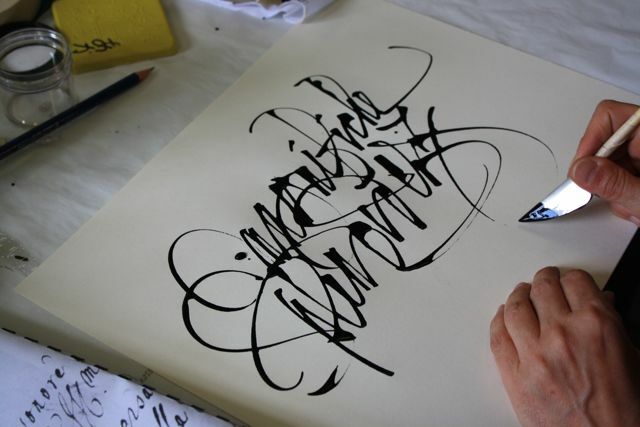 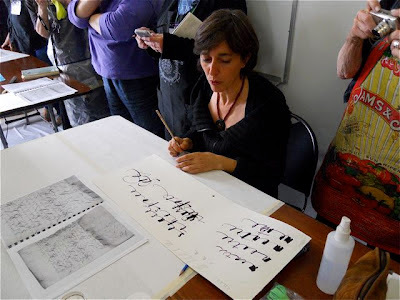 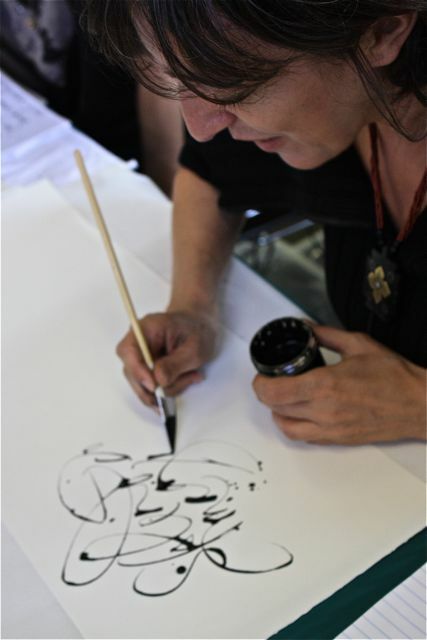 The Friends of Calligraphy was lucky to have Monica Dengo for a wonderful workshop and demonstration. 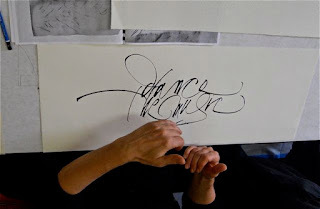 22 of us were able to take this 5 day experience of making art with rhythmic letter forms using the litho or cola pen. We all made our own pens before we use the sumi inks to cover our Arches text wove. Some of us were stressed at making letter forms that were not the traditional but as a basis for our artistic, and sometimes not, forms. 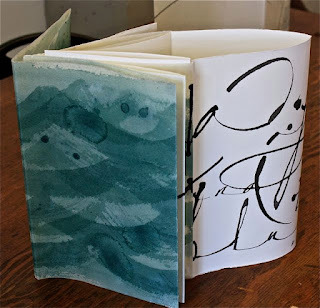 The final pieces were made into Monica's wonderful book form..folded, Japanese binded and painted with watercolors and sometimes waxed. Monica explaining space and rhythm with reference to Italian 15th-16th century italic.